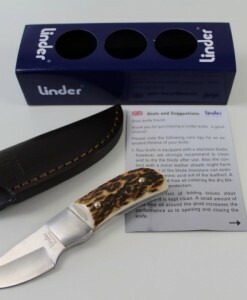 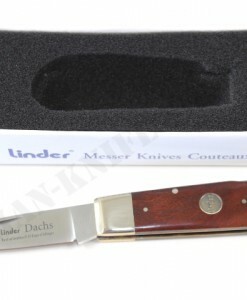 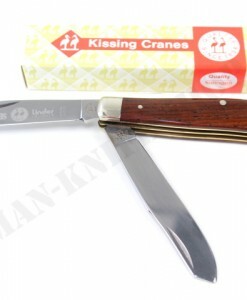 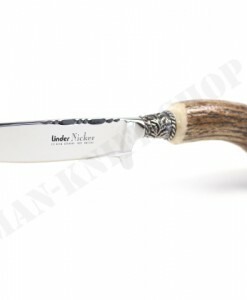 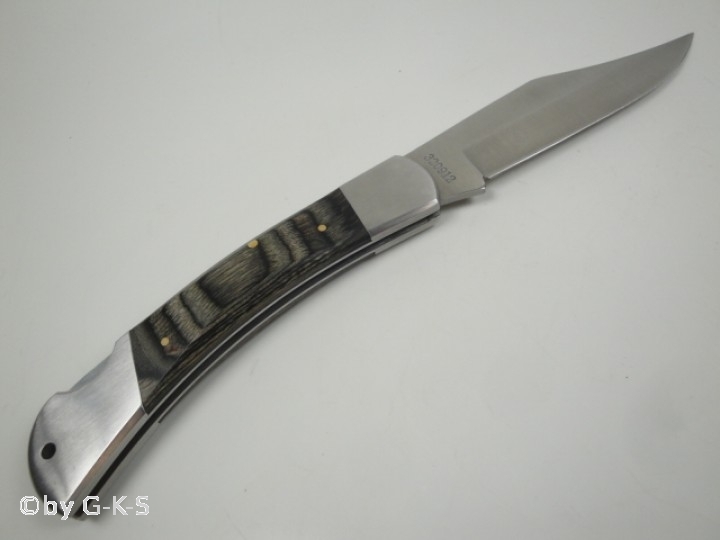 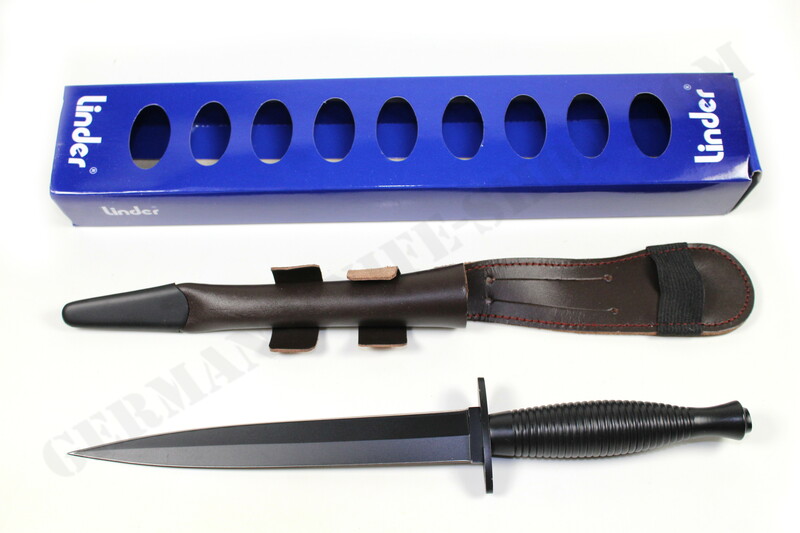 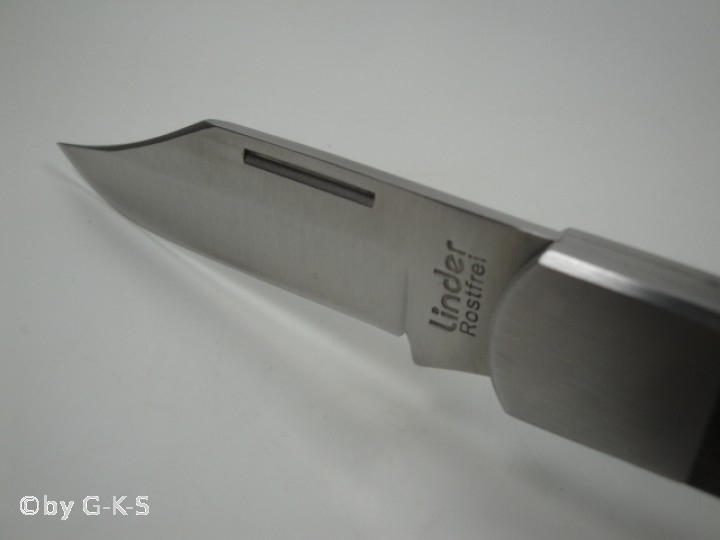 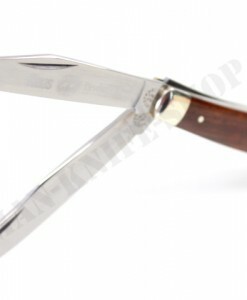 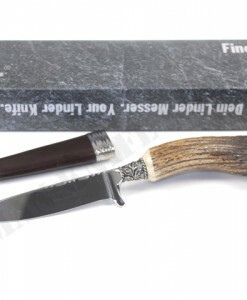 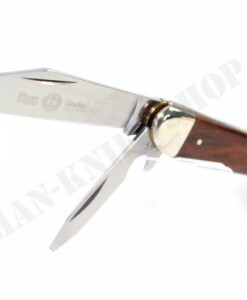 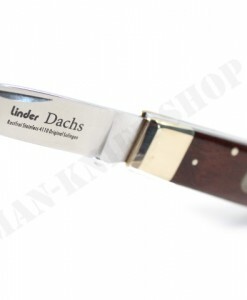 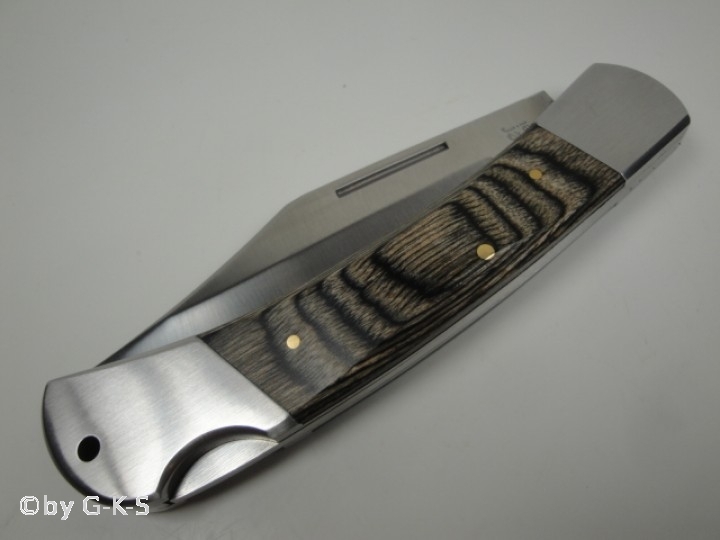 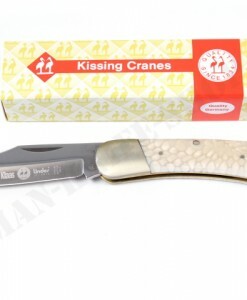 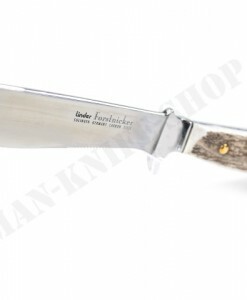 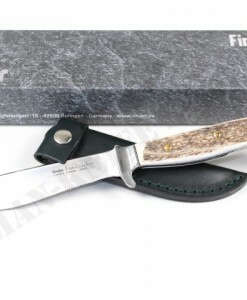 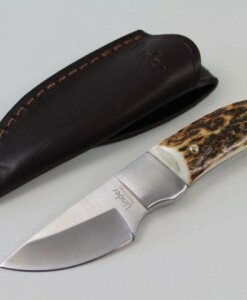 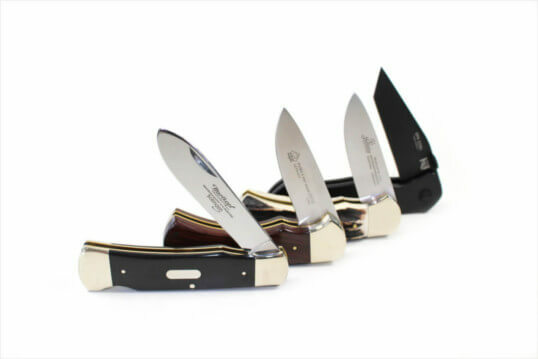 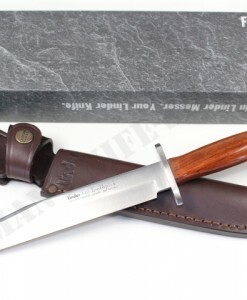 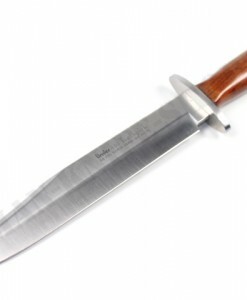 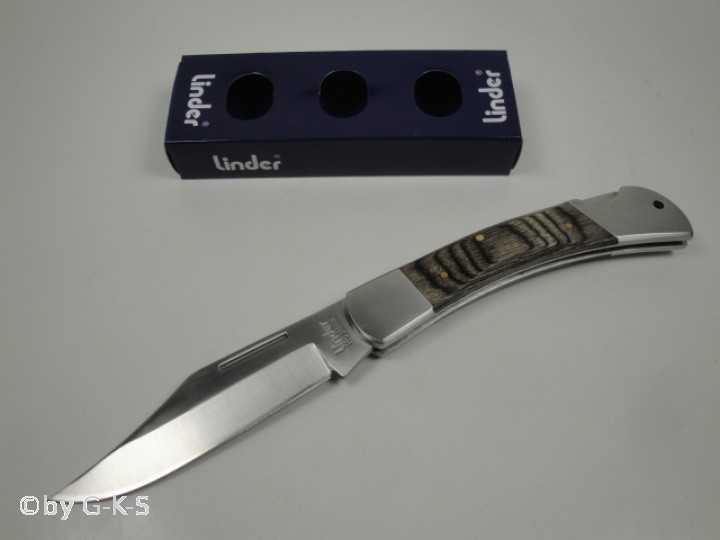 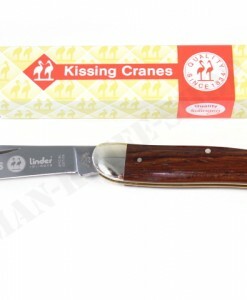 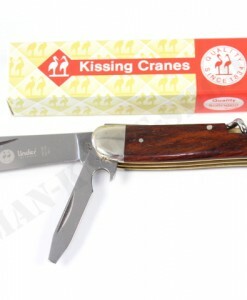 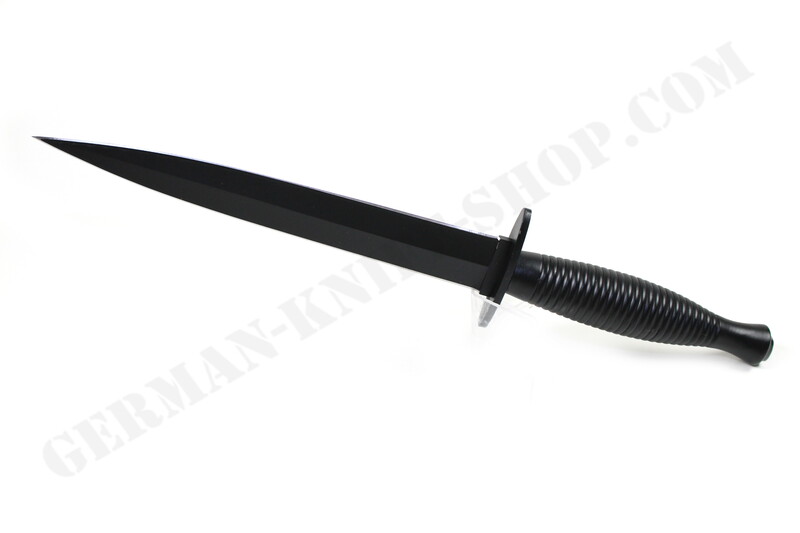 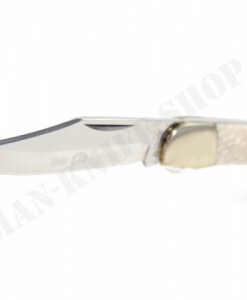 Dear customers, here we offer a beautiful Linder folding knife. 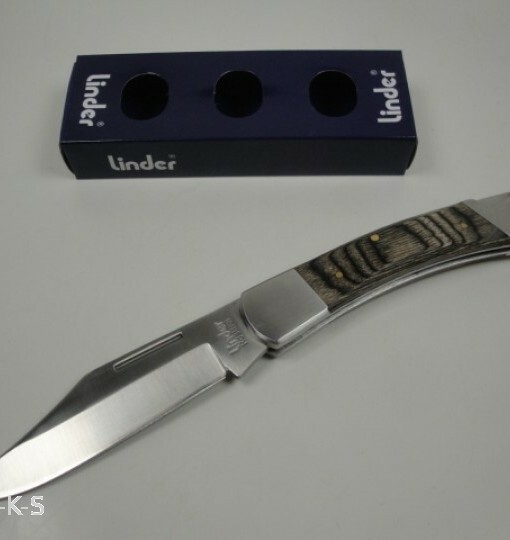 The grip caps are made of grey Pakka wood. 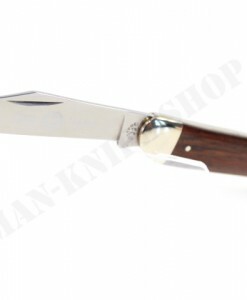 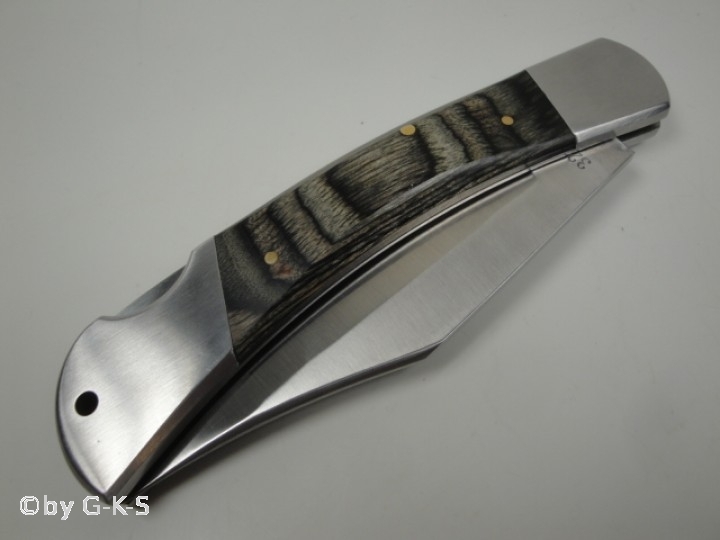 This beautiful folding knife has a back lock system.